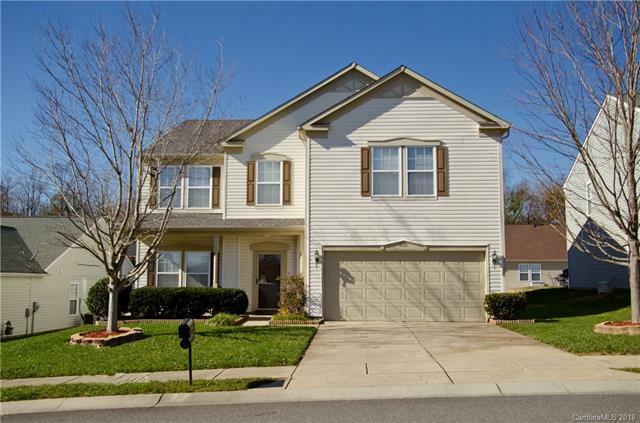 Beautiful & Spacious 3 bedroom/2.5 bath home in Clover Schools. Open floor plan on the main level featuring a fireplace, walk in pantry, office and half bath. Large kitchen with tons of storage. The second floor features split bedrooms and large loft with walk in closets in every room! The master and master bath will not disappoint and wait until you see the closet! Whole Yard In-ground irrigation and Security System. Home Warranty Included! Schedule a showing today!